Raubonys Park is settled near a scenic mound of Raubonys, at a convenient communication place near 'Via Baltica" highway. 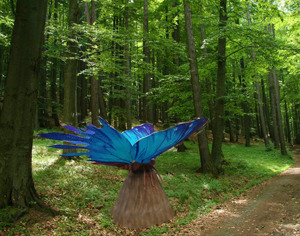 The Park's distance from Vilnius is 180 Km, and from Riga only 100 Km. Raubonys Park is the biggest park of it's kind in the Baltic countries, where in one time you can visit three parks located near each other. The area of all parks covers even 16 ha! 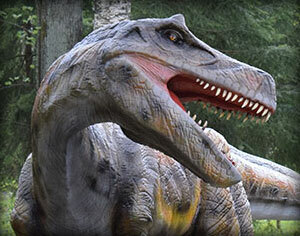 In the Dinosaurs - Dragons and giant beetles Park you will see many natural size copies of roaring dinosaurs and moving dragons, who will surprise you with their unusual appearance, dear visitors. Also, the new giant mobile beetles community will add even more adventures to all the lovers of green nature. 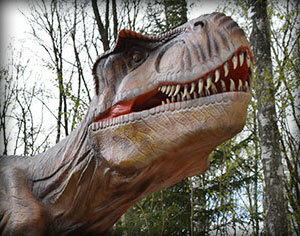 In Zoo Park live as many as 30 animal species (even over 160 animals)! From Tiny Squirrels to the King of Nature's - Lion! Brownish bears, lion, puma, lynx, deer, suricates, porcupines and many other animals. All of them are distinguished by their uniqueness, beauty, and exceptional abilities. 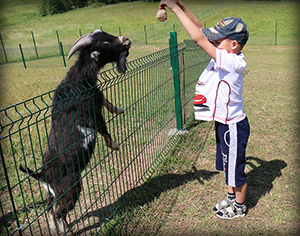 Wild animals live in a spacious enclosures that correspond to the requirements of European Union. 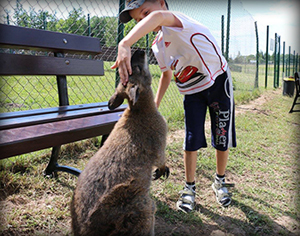 Some animals can be visited in specially equipped enclosures and you can communicate with them, and touch them. 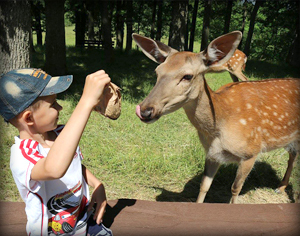 The Zoo Park has been operating for more than 7 years and we have received positive reviews from Lithuanian and foreign tourists. 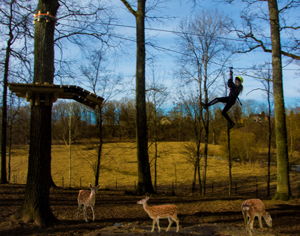 After exploring the animals, you can entertain. 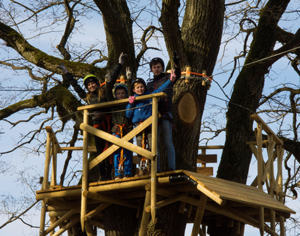 There are plenty of free playgrounds in the Zoo Park, not only for children but also for their parents. 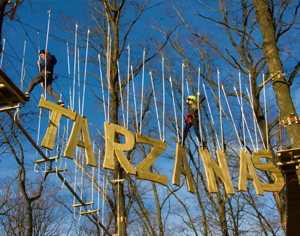 Tarzan Trail - is the only park of this type where you can observe the life of animals from above! This park is suitable for the visitors, who are thirsty for extreme relaxation! There are even 5 different difficulty tracks. If you want to overcome them you will need a lot of time but you will experience a lot of great emotions! Dear parents, when you arrive to the Raubonys Park, you can interact and take photos, however, you mustn't cross special markings, safety ropes and fences. You must adhere to the warning signs, markings, which are valid at the territory of the Park, and you must strictly accord to the Park rules. We highly ask you not to mount and touch the dinosaurs, as well as wild animals, who are not in enclosures, which were for this purpose designed.